Tis the betting season and if you are a bookie with even a few clients, then you have probably been running around in absolute craziness. The good news; money! This means profits and the only way to gather profits is to have clients and busy clients. The proverbial question is this? How do I make the most money possible off the existing clients that I have? It’s a great question and one that should be closely examined. 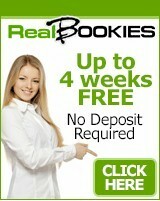 If you are a bookie, then you know exactly how marginal this gambling business can be. The power players of Las Vegas rarely worry about profit margins in their sportsbook. They simply have the luxury of not having to deal with this. Why is this? All of the major sportsbooks have a vast casino attached to their property. Close to never, will you see a standalone sportsbook. They don’t exist. Even the big boys such as the MGM Group or Westgate or all of the biggies that we could name here, they have an enormous casino on the property. They simply do not have to worry about profit margins. They want to earn a profit, that goes without saying, however, should they get hammered, and they do from time to time, they have a backup plan, and that’s the casino. As an independent bookie, you are most likely running your operation with a price per head, and that is a wise move. That’s the best move that any serious bookie could make. A pay per head allows you the flexibility of changing your own lines and odds. Again, in this business, you can get hammered. If you find yourself with 70% of the action on one side, that is a worry. If you find yourself with 55% of the action on one side, even that is a worry. Laying Off: Is it worth it? It can be, however, generally speaking, it is not worth it. Remember this… You are in the gambling business for one reason—to make money! 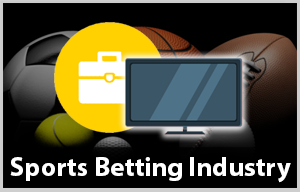 If you are laying off every time bettors bet on a big game, you are not making money. Many bookies get into the bookie business with limited funding and that’s ok. What you must remember as a bookie with limited funding is this; know your limits. Know who is credit worthy and who is not. Never break the rules for a whiney player. Stick to your guns. They say they are going elsewhere, they always go elsewhere! That’s what gamblers do. They lose at one blackjack table and they think the dealer is jinxed. Forget this noise, this is the very nature of the gambler. They will be back, they always come back, and your goal is to beat them. Taking advantage of adjusted lines is something that you must learn to do and learn when to do it. It’s easy to throw up popular numbers but are you giving the advantage or are you receiving the advantage? Sharp players have a keen eye for weak lines and they will jump on those lines and you get roasted. This is especially true in soccer. Knowing soccer lines as a bookie is highly important and knowing when to adjust the odds is even more important. Costa Rica, the tiny country in Central America that’s sandwiched between Nicaragua and Panama. These guys jumped up out of nowhere and shocked the world by advancing to the quarter-finals. They came out of the gate with numbers such as +2800, +1500 and +800. If you were a small bookie and you took this action, God help you! Had you done your research and realized that Costa Rica had a top 10 goal keeper in the world (Keylor Navas) you would have known to adjust your lines accordingly. The guys that did adjust, they still lost but the damage wasn’t nearly as bad. As a bookie, you will take your loses but you will always get it back one way or another. In every sport you must keep a close watch on lines and be prepared to adjust the numbers when necessary. Even a half point here and there can make a big swing in winning or losing. This is especially true with American football, true in baseball, basketball and hockey. It can be especially true when it comes to the run line in baseball and the spread in Basketball, especially the NBA. Prepare yourself for the big events and do the appropriate research when it comes to line adjustment. The offshore bookies set the standard for daily odds, not Vegas. Vegas was once the king but certainly not in this day and age. Know your limits, know what lines need adjusted and do your research. Find a great pay per head that will allow you flexibility with line adjustment. This is a key factor in your success as a bookmaker.